WOW! WOW! 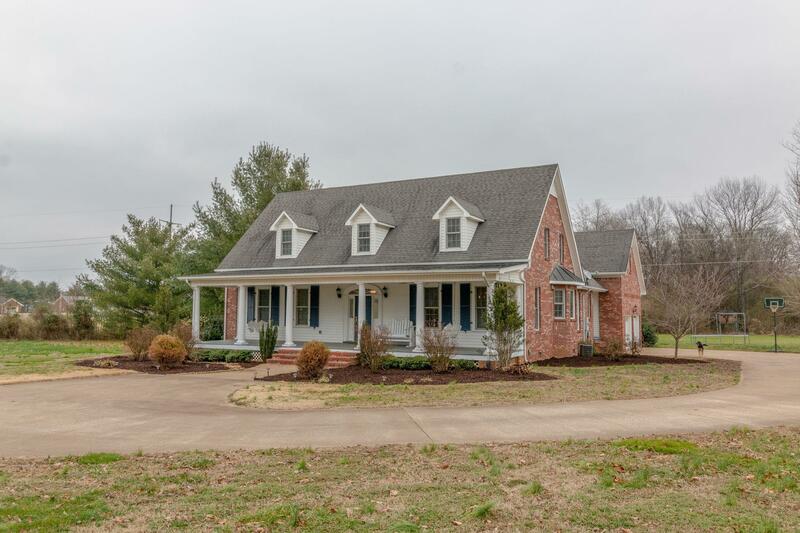 4 Bedrooms, 4.5 baths, spacious open family room with fireplace, Master bedroom has adjoining office/nursery or "other" room, hardwood/tile, cathedral ceiling, superb location sitting on 2.6 +/- (level) acres, beautiful covered back porch, complete with almost new (salt system) ingrd.pool. Granite in kitchen,love the brick accent wall in kitchen arched entry is very pretty,wide baseboard and crown molding,love the beautiful covered front porch & the cozy back porch!